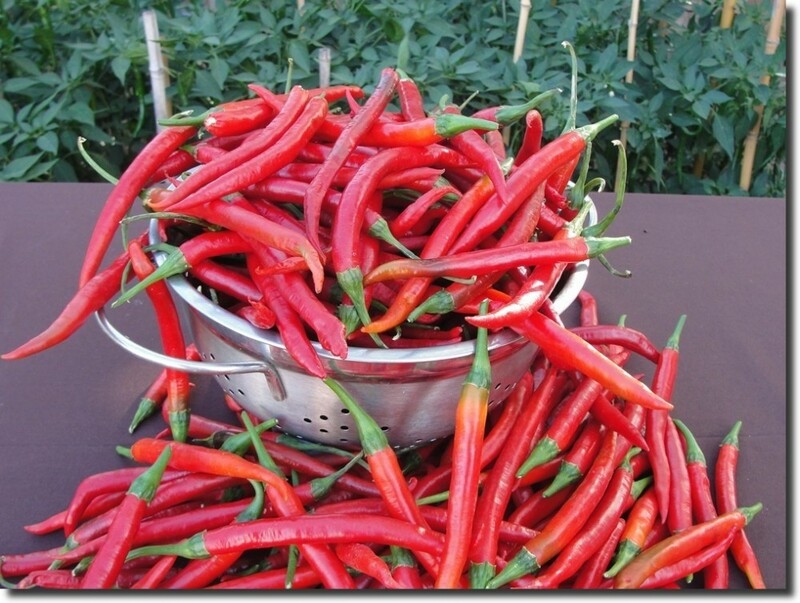 Chilli es are certainly one of the most intriguing plants God has created and is mostly known for its hot qualities. The biggest value lies in the spicy flavor it adds to many dishes, although it also has some medicinal purposes that are lesser known. 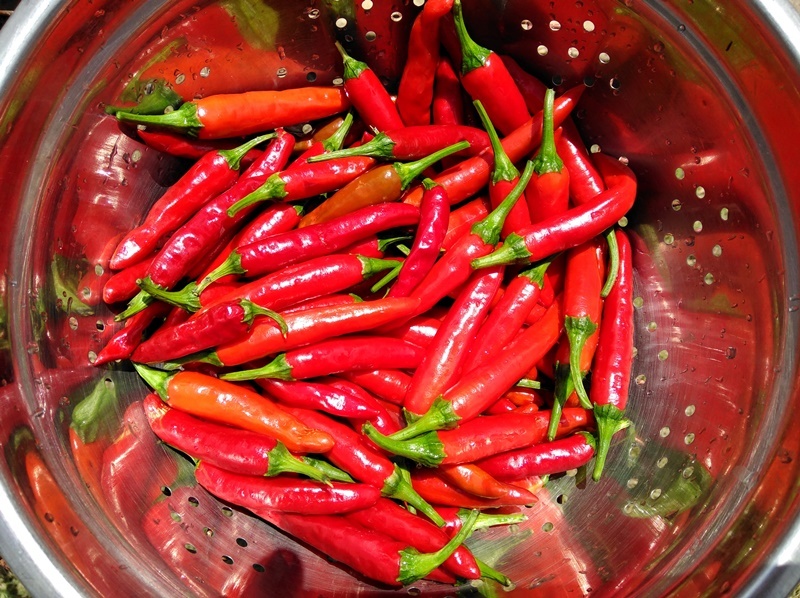 On this page, we are giving a brief introduction to the history of the famous chilli pepper, its chemical makeup, and some basic guidelines how you can grow your own chillies, and dry them as we do. 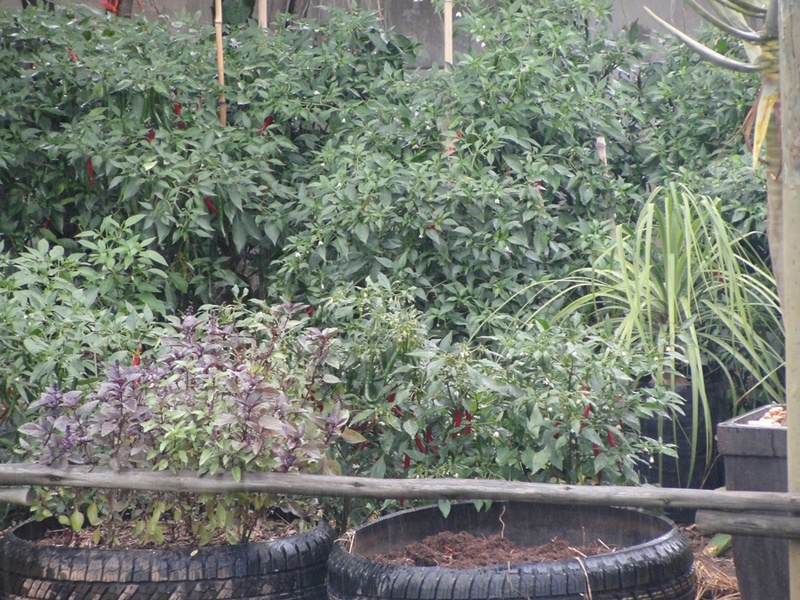 Photos on this page from "Chil-a-bit", our own Chilli project. 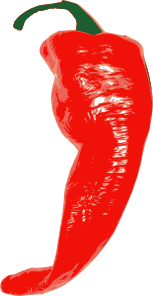 The botanical 'genus' to which all chillies belong is Capsicum (CAP-see-coom), from the Greek "kapto" meaning 'to bite'. The genus Capsicum is also a member of the wider Solanaceae or Nightshade Family and therefore Chile peppers are closely related to their genetic cousins, the tomato, potato, tobacco, and eggplant. Capsaicin is the active component of chili peppers, which are plants belonging to the genus Capsicum. Capsicum produces a sensation of burning in any tissue with which it comes into contact. It is an irritant for both humans and animals. Capsaicin and several related compounds are called capsaicinoids and are produced as a secondary metabolite by chilli peppers. 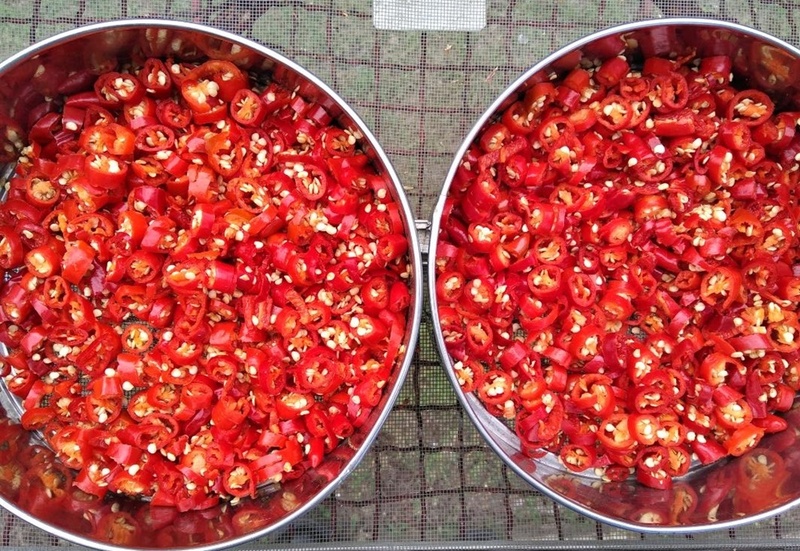 Pure capsaicin is a hydrophonic, colorless, odorless and crystalline to waxy compound. Capsaicin is a chemical compound that stimulates nerve endings in the skin, especially the mucous membranes inside the mouth and throat. The chemical makeup of chillies consists of the following combination of chemical elements: (CH3)2CHCH=CH(CH2)4CONHCH2C6H3-4-(OH)-3-(OCH3). With all those chemical compounds one begins to understand why chillies burn so much. Capsicum annuum, which includes many common varieties such as bell peppers, wax, cayenne, jalapeños, and the chiltepin. 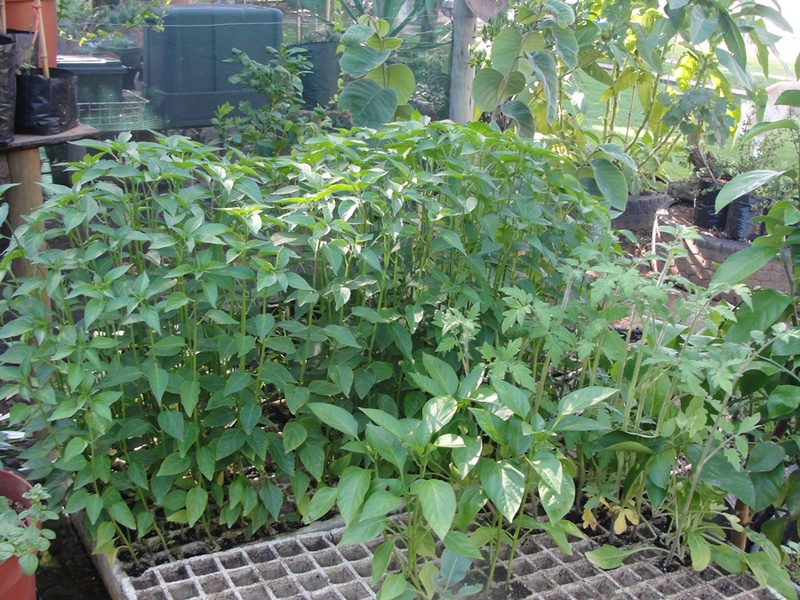 Capsicum frutescens, which includes malagueta, tabasco and Thai peppers, Piri Piri, African birdseye chili, Malawian Kambuzi. Capsicum Chinese, which includes the hottest peppers such as the naga, habanero, Datil and Scotch bonnet. Capsicum pubescence, which includes the South American rocoto peppers. Capsicum baccatum, which includes the South American aji peppers. ORAC is a method of measuring antioxidant capacities in food samples. The antioxidant values of foods are expressed in ORAC units, a unit of measurement for antioxidants developed by the National Institute on Aging in the National Institutes of Health (NIH) in the US. The antioxidant value of chili powder described in ORAC units is 23,636 μ mol TE/100g. (The ORAC value is expressed in micromoles (μ mol) of Trolox Equivalents (TE) per 100 grams of sample).